Event management software for everyone. Sell tickets, register attendees, and manage your entire event — all in one place. Sell tickets, earn revenue & improve event cash flow. Register attendees, create custom forms & accept online payments. Amazing event management tools, built by event organizers for event organizers. One system for your entire event & everyone in it! 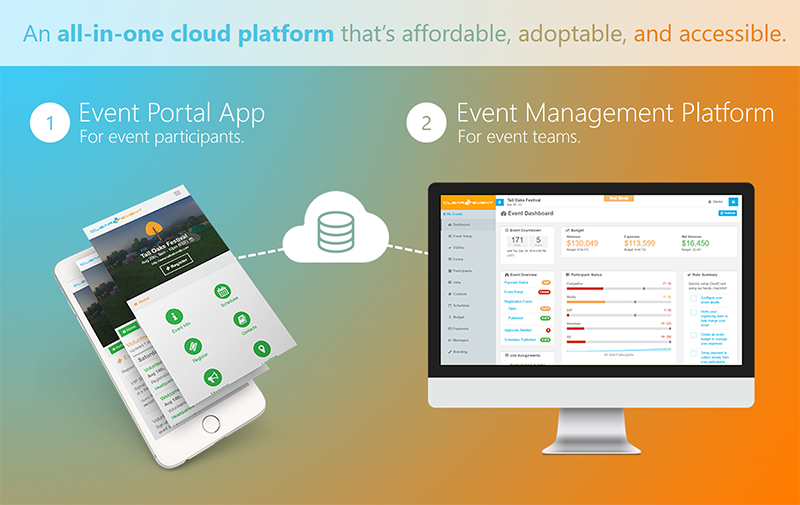 ClearEvent is cloud-based event management software for event planners & participants. Experience a fresh approach to event planning, team collaboration and participant engagement. From start-to-finish, we make event management a snap for your entire team, and all in one powerful tool! It's free for small events! What can I do with ClearEvent? With ClearEvent, you can ditch partial event management software tools that are expensive & hard to integrate. Keep your team & event data in one place. Setup your own event website in minutes using our Event Portal. The general public and your participants can easily access personalized event info, in one place, and on any mobile device. Clever event management software tools built-in to ClearEvent help you communicate, recruit, place, train and retain participants. It’s great for volunteers! Setup and accept paid event registrations in minutes using credit & debit cards. Get your money before your event is over! Track & manage your event’s budget with ClearEvent’s simple budgeting tools. Your budget is updated in real-time as payments are received. Detailed dashboards show how your event is progressing and if there are problems. Let our event management software gather up-to-date information so you can make smarter decisions. Built in segmentation tools keep contacts organized and easy to reach. Effortlessly target messages to specific participant groups. Forget manual emails! Customize branding for your Event Portal and registration forms to ensure consistent brand exposure to your participants. Easily track any number of participant job or work assignments. Understand goals & progress. Handle last-minute job changes. Centralize important event contacts into one shared place for your entire team. Create & share personalized event schedules in a snap with the general public or specific participant groups. Create an event website in minutes to easily share event details with your participants. All the information your participants need, in one place. Trusted by event organizers like you.